One of the treats of a comedy podcast hosted by a comedian who often has other comedians as guests is that it is frequently funny. 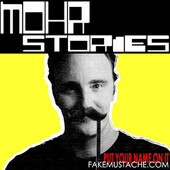 That's probably the main reason to drop by Mohr Stories, where Jay Mohr plays host to people like Adam Ferrara, as he does in Epi245. The conversation bounces all over the place like some kind of magnificent ADD ping-pong game, but it's funny pretty much no matter which tangent these two guys happen to wander down. Ferrara's got a lot going on, like the new American version of Top Gear on History Channel, Showtime's Nurse Jackie, and still headlining rooms around the country. But those points are merely kindling for the blaze of good natured ribbing and genuine laughs that burn their way through this episode. This review originally posted as part of This Week In Comedy Podcasts on Splitsider.com. Marc Hershon is host and executive producer of Succotash, the Comedy Podcast Podcast.